** Own it and Love it! We are officially at 41 days until Christmas ya’ll!! Have you started your holiday shopping yet?? I have not, but I usually do a bunch online between Black Friday and Cyber Monday. I’m so excited to start up the Holiday Gift Guide series. These guides are so fun to put together. I hope you find them helpful while you are shopping or making your own wish lists. 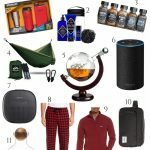 I’m starting off the series with your favorite every year, Christmas Gift Ideas under 50! 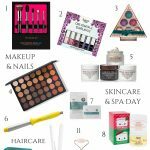 This year I narrowed it down to 3 of the most popular categories over the past few years, Home Gift Ideas, Classic Jewelry Styles, and Gifts for the Beauty Lover. 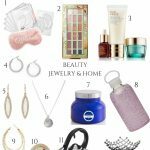 For the home gifts, I found items that would work as a hostess gift or for that person who seems to have everything. I own the Corkcicle Wine Tumbler and the Holiday candle and love both. The tumbler is great for bringing wine or really any beverage to the pool with you or to a neighborhood party. My friends and I carry these when walk to do Christmas light tours with a hot beverage. I picked up this holiday candle from Nordstrom last month. They did not have my Nest Holiday candle in yet, and the salesperson suggested this one. It was love at first sniff. Also, I want to mention these cute little wine chilling wands. I think these little wine chillers are so cute for a white wine lover. You put them in your glass to help quickly chill your glass of wine. For my jewelry picks this year, I went with classic and simple. If you are unsure of what to buy a woman in your life, you can never go wrong with jewelry. I think going with a simple style will ensure it fits in with her existing style. I wear these gold stud earrings, all the time, and I have the silver ones on my Christmas list. They were discontinued for awhile, and the brand just brought them back. These earrings are the perfect go with everything earring! When I was in New York, I picked up a simple initial pendant necklace, and I am so obsessed. It makes the perfect everyday necklace. You could pick one up in her name or her child’s name. Let’s talk about all the fun beauty buys! Kiehl’s, Drybar, and Fresh are all brands I use and love! 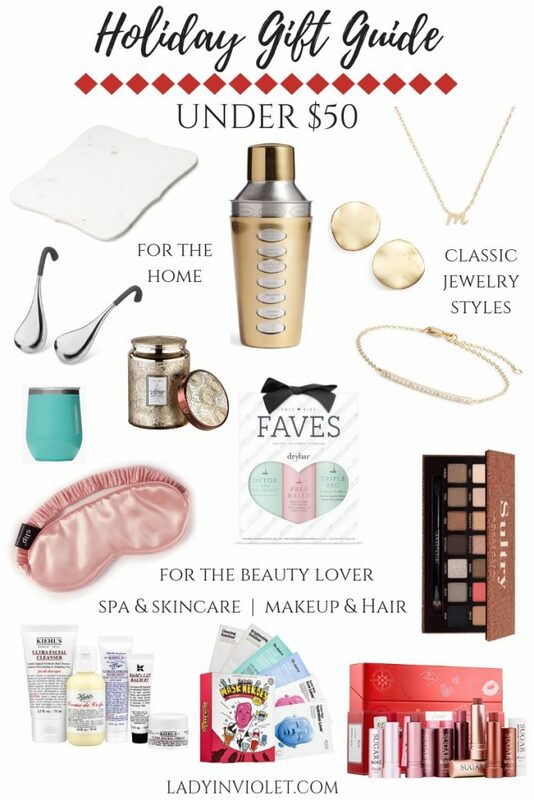 I cannot recommend these gift sets enough to really experience the best of these brands. I broke this year’s gifts between spa and skincare and hair and makeup. For the skincare lover, face masks are an easy go to! I mean who doesn’t love a face mask to recharge and rehydrate. I also included a cute silk mask. I always travel with a sleep mask, so this would be perfect for a traveler. For the makeup side, I included the Anastasia Eyeshadow Palette. I’m planning to add a palette from this brand to my wish list. I have heard so many great reviews on all of them. Now just to pick which one! 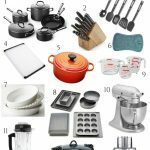 I hope these gift ideas under $50 help give you some ideas to start tackling your shopping list. If you want to see a specific holiday gift guide, leave it for me in the comments and I will work on creating one! Thanks and Happy Holiday Shopping!